What is it that has the power to steal away the peace and calm of your heart? What if you were insulted, ridiculed, falsely judged, imprisoned, beaten or even killed? Would any of these rob the peace of God in your heart? Only if you let it. It is essential that you know and believe with firm faith that nothing can steal the peace of your heart unless you let it. Your goal must be to be free from everything in this world. You must be detached from all riches, honors, respect, fear and everything. 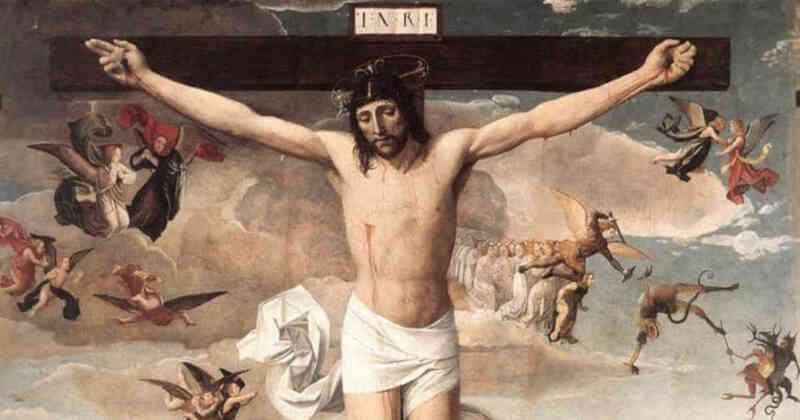 If you are fully detached then you are free to be fully attached to Christ and no matter what comes your way, no matter what happens to you, your single attachment to our Lord and His Will, can never be taken away from you unless you let it (See Diary #1685). Reflect upon the things that have taken away your peace in the past. Identifying these will help you realize what it is that you are attached to in an unhealthy way. If, for example, public ridicule has stolen your peace, then you are too attached to your reputation. If poverty has left you depressed, then you are too attached to money. If the rejection of a friend or family member has turned you to anger, then you were too attached to this person. This list could go on and on. Though the spiritual goal of total detachment may be very hard to understand and even harder to accept, do not dismiss it too quickly. Reflect upon attachments you have, even to apparent good things. Realize that if the one attachment you have is to God, all good things will follow. Lord, I choose You and Your Will as my one possession in life. All else is passing and all else can be lost in an instant. But You, oh Lord, are eternal and You can never be taken away if I choose You. I love You, dear Lord, help me to remain firmly attached to You and Your Will. Jesus, I trust in You.